Skipping Valentines’ Day makes a lot of economic sense. While an unpopular opinion, there are many frugal alternatives to explore when finding ways to save money during this romantic season. Given that Valentines’ is just after Christmas, New Year, and Chinese Lunar New Year, expenses may have skyrocketed. 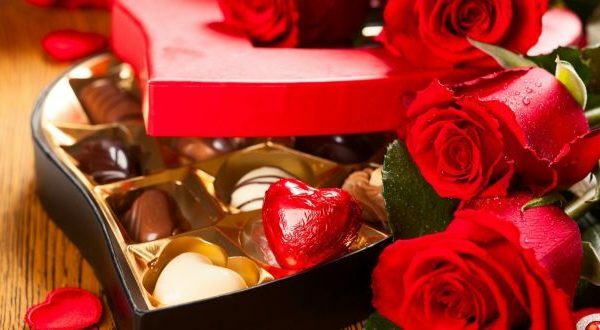 Cuts in bonus payouts by your company due to either poor performance or a failing economy may have worsened your capacity to splurge on your partner this Valentines’ Day. A recent purchase of a large ticket item may require you to set aside more money to clear the debt, making any splurge a pain. If you face financial issues, do not be shy to let your partner know so that your other half can understand the magnitude of your financial burden. This way, expectations can be scaled down accordingly without anyone feeling upset. Being able to reach a compromise after actively communicating with each other is a key trait of successful relationships. Activities and gifts catered for couple surge in price on Valentines’ Day as the increased demand drives up costs. As such, you can skip celebrations on the actual day itself to avoid overpaying for something commercialised. Treat your pre or post Valentines’ Day celebration as an equally romantic, but more wallet-friendly experience. Not only will the items be less expensive, the place of activity will also be less crowded. Overall, it can be much more pleasant experience. Misunderstandings can ruin a relationship, and the last thing you want is an angry partner on Valentines’ Day. If there is an intention to celebrate Valentines’ Day on a separate day, be sure to talk to your partner about it in advance to seek out each other’s thoughts. This gesture ensures that your post-Valentines’ Day celebration is completely intentional, and not an excuse for your forgetfulness. It should not seem like an afterthought. If you are an utterly practical person in love with a hopeless romantic, be sure to meet in the middle and come to a compromise. Find out the rationale behind why your partner wants to celebrate Valentines’ Day in a certain way on the day itself. Do not roll your eyes or jump to a conclusion without hearing each other out. If you and your partner place a high priority on celebrating the day of romance, you are definitely not alone. This day can be very meaningful to some couples, and can be the highlight of the year. In this case, try to spend on quality experiences that are memorable to get the bang out of your buck. Instead of falling for wildly overpriced roses or cheesy stuffed animals holding glittery hearts (unless your other half is a fan of such gifts), opt for experiences. It may be a meal at where the both of you first met, or a meaningful activity that the other person has been wanting to do. It can be a game of mini golf to reminisce the time when the both of you failed badly at golf. You can also show that you listen by bringing your partner to an activity based on a recent remark. For instance, your significant other may have talked about how adorable the tiny plants are when passing by the florist’s or a café. In this case, bringing you partner to a private terrarium making workshop can show that you listen and care. The truth is that going out on Valentines’ Day can be romantic and cheap at the same time. Skip the fancy frills, because showing your affection on this special day need not always cost a bomb. Activities such as stargazing and museum-hopping are low cost alternatives to extravagant ones. There may be a Netflix series that the both of you are dying to binge watch, but did not manage to find the time to do so. Snuggle up on Valentines’ Day to check that off the list. If time permits, try creating a romantic scavenger hunt. Be prepared to spend nights brainstorming and preparing materials for your significant other to uncover. The adventure can end with a simple picnic at the park, or a warm home-cooked meal. You need not flex your wallet to indulge in sweet experiences. Show that you appreciate your other half by DIYing a special gift. It can be a jar of origami hearts, a scrapbook, or chocolate dipped strawberries. Try making a coupon booklet with things that your partner can redeem in future. Redemption options can include a week of exemption from doing dishes, a free pass to not do the laundry, a 20 minute massage, breakfast in bed, and more. Writing up a long and heartfelt letter can also be touching. This Valentines’, be conscious of your budget when planning celebrations while keeping your relationship dynamics in mind.